Growing up in Northeast Pennsylvania, I used to read the NY Daily News religiously. This was at a time when newspaper’s daily columnists ruled the world. Names like Breslin, Royko, McAlary, Ivans, Buchwald, Albom, O’Rourke, or even Bangs on the byline meant as much to me as the names Hemingway, Poe, Wilder, or Faulkner. These guys were fearless. They did whatever it took to root out corruption and injustice while still managing a brilliant turn of the phrase. They were my real life super heroes. I devoured their words and was inspired by their commitment to pursuing the truth and exposing inequities. The rise of the internet and the change in how we chose to receive our news and information meant that the importance of the columnist began to fade. A decline in readership led to financial hardships for print media and columnists, and often the most expensive contributors became expendable. I mourn the loss of those brilliant writers and truly believe we as a society are worse off for the loss. One of my favorite columnists was a sports writer named Mike Lupica. These days Lupica is a television celebrity and a writer of a series of YA books. He still pens a column, but it feels like he’s writing more from the inside than the outside where he used to reside. In the 80’s, Lupica was fearless. He wasn’t afraid to criticize anyone, and he never backed down from a controversy. I didn’t always agree with him, but he always made me think, which is something I hold in higher esteem. Lupica used to do a Sunday column called “Shooting From The Lip.” It was basically him writing about whatever was on his mind. Just short little pops on things, without going into too much depth. It was the first thing I read every Sunday morning. In writing this blog, I get a lot of information. Some of it is just tidbits of interest that, despite having value, just aren’t enough to write a piece about. So, today I’d like to offer a little tip of the hat to Mike Lupica and share some thoughts and observations that are running through my head at the moment. Maybe you’ll find them useful and interesting or maybe not… but here we go. This year’s testing fiasco doesn’t show any signs of abatement. Lawmakers are still debating what to do about TNReady and teachers are still going to pay a price, as this year’s test scores will be included in teacher evaluations. As TNEd Report’s Andy Spears points out, “You have data from the old test, a skipped year, data from last year’s test (the first time TNReady had truly been administered), and data from this year’s messed up test.” It’s a little bit crazy, don’t you think? There is still a little time to contact your legislators and let them know you are not okay with this. Professional educator Amanda Kail gives you the how and why. Betsy G is a high school teacher in Tennessee and member of the Professional Educators of Tennessee, a non-partisan teacher association headquartered in Nashville, Tennessee. She recognizes the need for consistency in education and takes the time to point out that in Tennessee, it ain’t happening. An excellent piece that I encourage you to read. It does appear that the TNDOE is getting serious about the Achievement School District. Yesterday it was announced that Memphis’s Sharon Griffin has been named the new superintendent of the ASD. It’s hard to find any fault with this decision and the state deserves props for making it. Griffin has deep roots in Memphis and comes to the job with a long and proven track record. In the past, the argument has been made that those who led the ASD weren’t educators at heart. No one can make that argument against Sharon Griffin. Griffin has been the chief of schools for Shelby County Schools since January 2017 and has been a teacher and leader in Memphis education for more than 25 years. According to an article in ChalkbeatTN, Tennessee met only five of 10 quality benchmarks designed by a national advocacy organization that released its annual preschool report last week. The report criticized the state for its lack of both a rigorous curriculum and a system that measures improvement in classroom quality. That’s according to the “State of Preschool 2017,” a report released last week by the National Institute for Early Education Research at Rutgers University. This is what always makes me nervous about universal Pre-K. I’m a believer as long as the curriculum is rooted in play-based instruction and lots of unstructured play time for our youngest kids. Those ideas often run afoul of rigor and accountability, therefore raising red flags for me. Williamson County Superintendent Dr. Mike Looney is having a good news/bad news kind of week. The good news is that he’s expected to ease back into work next week after a very serious health scare. Bad news is that he has to make a stop in court first. Looney appeared in court this morning for a hearing on an assault charge. The assault charge — one of two filed against Looney — stems from an incident at Franklin High School on February 20 involving a student having a psychological crisis. I continue to say this case is just bizarre and the charges just aren’t congruent with the Mike Looney I know. The good news is that both charges were dropped today. The city of Nashville breathed a sigh of relief with the Monday capture of the Waffle House shooter. The shooter was apprehended in the early afternoon in a field behind Cane Ridge ES. Which as far as I’m concerned, should serve as notice that we got lucky. While MNPS schools were on lockout, which means nobody was allowed to enter the building once school was in session, there was little protection provided for kids at the bus stop or teachers working car duty. It’s not a far stretch of the imagination to envision that a gunman who randomly shot up a Waffle House full of strangers the night before might decide to do the same with a school. Cane Ridge ES had one police officer in the front of the building (in his car) and no other presence at all. Reinking was found directly behind the school, and I’m assuming he was there all morning. At one point, the policeman went around back to do a walk through, at which point the school was completely vulnerable. Cane Ridge has over 1,000 students who entered the school that day, and the way it is set up it would have been very easy for Reinking to come down from the woods and pick people off with the pistol he had in his backpack. If that had happened, we’d be having a whole different conversation today. It shouldn’t be enough that it didn’t happen. At last night’s town hall meeting, Nashville Mayor David Briley revealed that when he visited one of the Waffle House shooting victims in the hospital, he asked if there is anything he could do for her. She asked if he could do something about the potholes on I-440. Waffle House hero James Shaw, Jr., raised almost $100K for shooting victims through a GoFundMe account. He continues to prove that he is an example for all of us. Looks like the current MNPS Chief of Schools feels like he is ready to go from understudy to star. This week it was revealed that he is a finalist for the Superintendent job in Jacksonville. If you click on his name in the linked article, you will get a look at his complete application package, which provides some interesting info. Particularly interesting were his answers to the question, “What accomplishments are you most proud of?” His first answer is, “The opening of two ELL schools which are now leading the nation in how to support students from immigrant families.” Surely he is not referring to the Prince George’s International High School and the International High School at Langley Park. Those schools are actually schools-within-schools. ELL kids attend separate classes, walk the halls at different times, and eat lunch at separate times, ensuring limited interaction with the general population of the main schools. It’s a policy that has faced charges of segregation and discrimination. For the first couple of years, students were housed in portables. Those schools were opened in 2015, and in 2016, Narcisse was in Nashville. In 2017, they served just under 400 students combined. Dr. Narcisse also cites the opening of an early college in MNPS and the creating of STEAM in all MNPS middle schools. Neither of these two actions are completed. Shouldn’t the endeavors that you are most proud of be ones that have actually been put in place and are producing results? I mean, if we are hiring based on ideas… Lord knows, I have some. The finalist will be announced towards the end of May. I don’t know who to wish good luck to, Dr. Narcisse or Duval County. Last week, MNPS Board Chair Anna Shepherd put out a press release accusing Phil Williams of Channel 5 of producing FAKE NEWS. This week, budget and finance chair Mary Pierce doubled down on that trope in her newsletter, stating in her budget timeline: April 13-14: Canceled Board Retreat (not a secret meeting as reported). We pay Panasonic a fair amount of money to advise and train the board; perhaps they should schedule some time for training on Tennessee Sunshine Laws. These days I’m thankful that Keith Durbin of Metro Nashville Government forced us to go through it when I was on the NECAT board. Let me clarify. I don’t believe the board was accused of holding “secret meetings.” They were accused of not following Tennessee State Sunshine laws. Which ironically were created in part to protect governing bodies against charges of holding secret meetings. Since the arrival of Dr. Joseph, more and more business has been moved to committees. While board meetings are held on the same days each month, committee meetings vary in their frequency, and their placement on the published schedule has been hit and miss. Board retreats are never on the schedule. The minutes of the meetings must be recorded and open to public inspection and at a minimum must contain a record of the persons present, all motions, proposals and resolutions offered, the results of any votes taken, and a record of individual votes in the event of a roll call. T.C.A. § 8-44-104(a). Want some fun? Call up the MNPS Communications Department and ask them for the minutes from any of the board retreats. I suspect you’ll get a similar response to the one I got when it comes to committee meetings. They don’t exist. The bottom line is that the MNPS school board has been in violation of the State Sunshine Laws all year long. Somebody finally called them on it. That doesn’t equate to FAKE NEWS. Board members may defend their actions by citing intent. Intent is not compliance. I think somebody owes Phil Williams an apology, though I doubt he’ll get it. I’m also baffled that the MNPS Public Information Officer didn’t offer better counsel to the board chair. After all, one is a communication specialist hired to deliver news to the community that presents the school district and its officers in the best light, and the other is not. Ah… if only they were the first to think of this idea. Here is a clarification for you: unauthorized purchase requests (UPR) arise when policy is not followed. So whether you have 2, or you have 80, they are the result of policy not being followed. It’s wonderful that a policy is created to track them, but again, that is a measurement and not a correction. Maybe this could be a subject for Panasonic to cover as well. Unless that falls under the scope of a different consultant. At some point, someone is going to have to address the elephant in the room when it comes to the MNPS school board. As a candidate for school board myself, I really didn’t want it to be me to awaken the Kraken, but if nobody else will… what’s the story with board member Will Pinkston’s attendance as of late? To call it spotty would be generous. He missed both this last meeting as well as the board’s budget presentation to the mayor. When he is in attendance, he seldom stays for the entire meeting. So far none of the media have commented on this. I don’t believe that would be the case if Pierce or Gentry were absent this often. The panel to recommend the new principal for Antioch High School convened this week. The three candidates interviewed were a central office employee and two middle school principals; all three are African-American. Of the 2 middle school candidates, in my opinion, one would probably be pretty good. The other would just be a rinse and repeat of the past two years as indicated by the conditions of the school where they are currently employed. Let’s watch this unfold. Antioch High School deserves more from Nashville. Does anybody know if former Knoxville superintendent Jim McIntyre is still attending MNPS executive leadership team meetings? Here’s some unsolicited advice for central office employees visiting individual schools. Act like you would if everybody is watching. Parking in the handicapped zone if you are not handicapped is not an option. No matter how long you plan on staying. You know who you are. Stop it. On a side note, culture get built based on the way leaders act when they think no one is looking. Showing up late for meetings, coming in unprepared, treating others with rudeness – these all communicate implied consent. Those behaviors that you model will be replicated. That’s how culture is created. Scott Bennett was a teacher at Hillsboro High School until his wife took a job in South Africa. Now he’s a blogger trying to find his way. Kinda like me. Follow his writings. You won’t be disappointed. 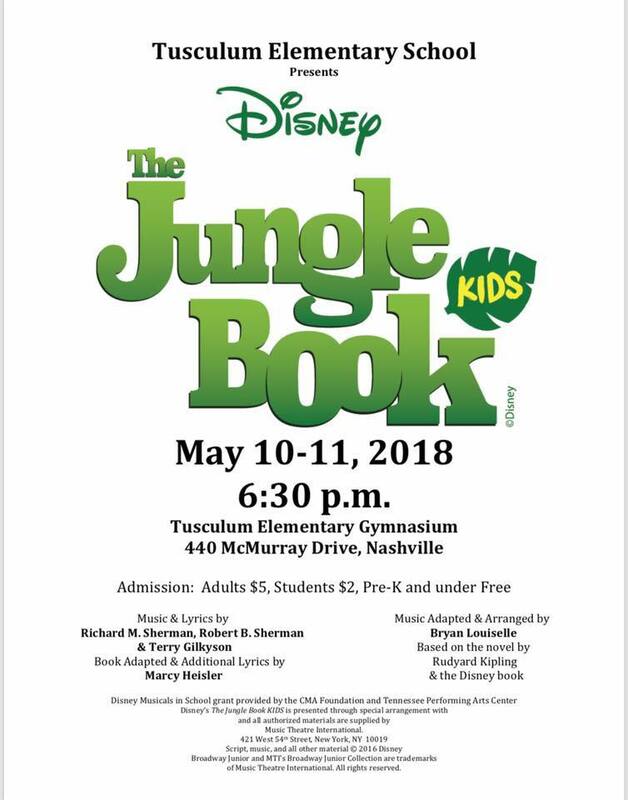 Tusculum Elementary School has not been able to produce a play with the kids for at least 5 years. Next month that changes. Mark the dates. In surveying the field for this year’s school board races, I think Nashville has an opportunity to have a much more civil conversation this go-round than it has in the past. It would be nice if we all adopted a goal to have more people involved in our schools after the election, rather than less. That hasn’t been the case the last several cycles. Just a note – it is possible to support both Reading Recovery and Orton-Gillingham. Just saying. 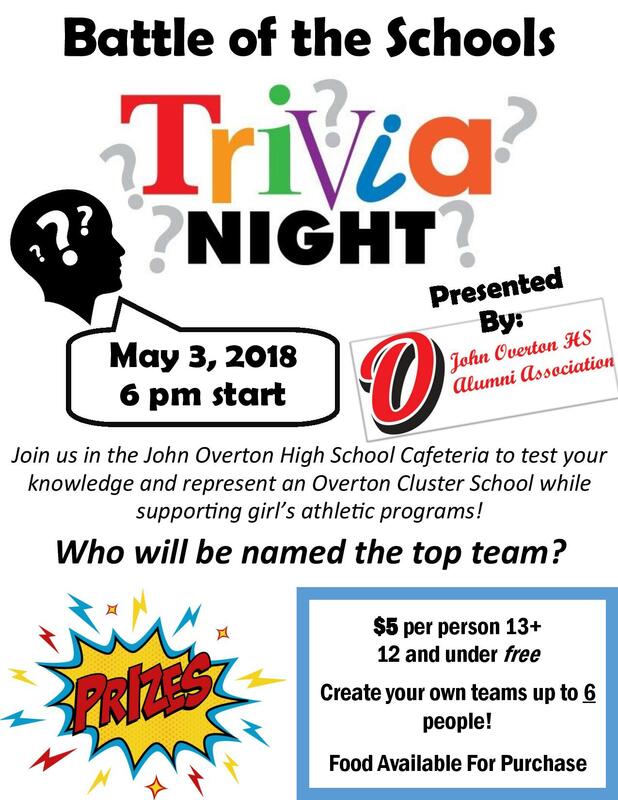 Trivia night is coming to the Overton Cluster on May 3rd at 6pm. It’s a little friendly competition between schools in the cluster. I think it could be a lot of fun! Under the direction of Mr. Trey Jacobs, the Nashville School of the Arts Concert Choir “Paragon” will perform the national anthem at the Nashville Sounds game on Thursday, April 26. The group recently received superior ratings at the Middle Tennessee Vocal Association’s Annual Festival both in performance and sight-reading. The group is composed of 45 members in grades 10-12. I would like to close with another tip of the hat to Channel 5’s investigative reporter Phil Williams. Thanks to his reporting on lead in school drinking water, a bill is now headed to the desk of Tennessee Governor Haslam that will require all school districts to test water annually and take action if levels are found to be high. The legislation failed to make it out of committee last year – and it appeared to be doomed again this year because of a lack of funding. That changed last week after NewsChannel 5 Investigates called attention to the bill’s precarious position in a series of tweets, and House Speaker Beth Harwell intervened. A big thank you to all involved. 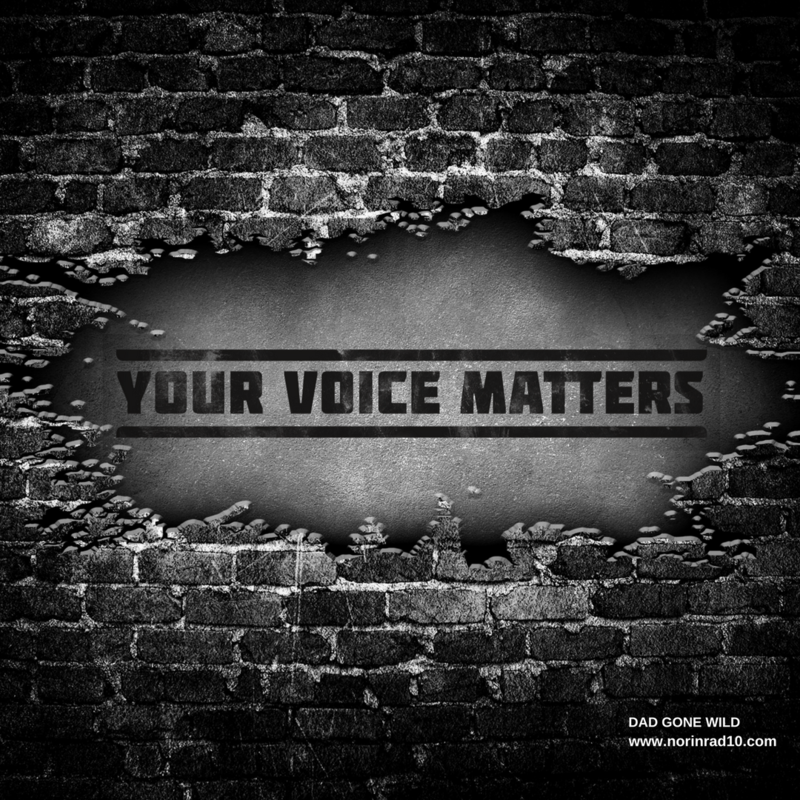 The Metropolitan Nashville Government Office of Internal Audit provides employees with a means to anonymously communicate any fraud, waste, or abuse concerns. You can contact the Metro Nashville Hotline 24 hours a day to report any fraud, waste, or abuse problems toll-free at 1-877-647-3335 or https://login.redflagreporting.com/. Use Client Code ‘Metro’ and Organization Name ‘Metro’ when reporting. That’s a wrap. If you need to contact me, you can do so at Norinrad10@yahoo.com. I’m always looking for more opinions and try to promote as many of the events that you send to me as possible, but I do apologize if I fall short and don’t get them all out there. Wonder where the extra money from a revords request goes? To the employee doing the work? To the Metro General Fund? Further, an invoice is required prior to receiving money. Who will create the invoice? And who will keep the collection log the money? Just a few questions on this policy? Look at the logo for Panasonic….look familiar? ?